If you’re introducing Scrum to your business or already have elements of Scrum project management at work, it is hugely beneficial to have a number of people trained and certified in the key role of Scrum Master. This intensive, 2-day course is suitable for scrum masters and potential scrum masters with any level of experience. We include exam and certification costs for each participant. We deliver this in-company training exclusively to your team at your premises, or a venue chosen by you. You have complete date flexibility, enabling you to choose dates that work best with your business calendar. What are the Benefits of this In-Company Scrum Master Certified Course? Our in-company Scrum Master Certified programme includes 2-days focused classroom training with our experienced trainer, physical and online study support materials, and exam and certification fees. Successfully completing this course and its assessments leads to an internationally recognised SCRUMstudy certification. Certification is important, but arguably not as important as a working understanding of scrum processes and the confidence to apply them to a live project. Our course covers each element of the Scrum project management framework, so that every participant gains a working, practical knowledge of Scrum. Choosing to train your team together in this format means that they will have the same level of skill and understanding. Sharing a common approach and language ensures more efficient handling of any project. We offer a number of Scrum and Agile certifications. If you wish to continue expanding your team’s capabilities in this area, we can develop a progressive programme focused on your business goals. Scrum is an extremely team-focused approach to project management. Each member of the team has functions to perform, and the role of Scrum Master is a linchpin for the productivity and success of a Scrum project. The Scrum Master creates and protects the project environment, ensuring that conditions are ideal for the correct application of scrum processes. The Scrum Master also oversees the application of the scrum framework. Every Scrum Master must have a comprehensive understanding of scrum so that they can be confident in how it should be applied within their project and team. As part of their responsibility for creating an ideal scrum project environment, and ensuring correct application of the framework, the Scrum Master must always be vigilant for roadblocks to productivity and value delivery, and in turn, work to remove these blocks. Do my team need experience with Scrum? No experience is needed for this workshop. A key benefit of in-company training is that this can be approached as a starting point for those who have never worked with Scrum before, or a progression for teams that already work with Scrum. I am unsure about whether my team need a Scrum or Agile qualification. What is the difference between Scrum and Agile? Agile is a project management methodology, an overall philosophy. Scrum is a tool or approach used to implement agile. Therefore, it’s fair to say that Scrum is a subset of Agile. Getting started on planning your Scrum Master in-company programme is easy. You can click above to get an in-company quotation, click below to ask us a question or call us on Freephone 1800 910 810. We will guide you at every step of the planning process, assessing your needs and answering any questions you may have. Is this available for individuals to attend? 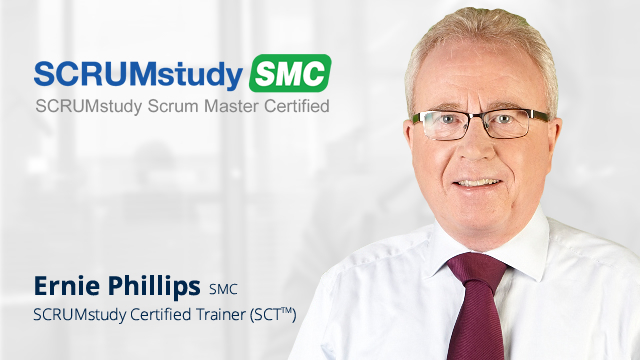 Yes, our Scrum Master Certified (SMCTM)course runs throughout the year as an open (public) course. These dates are available for individuals to attend. 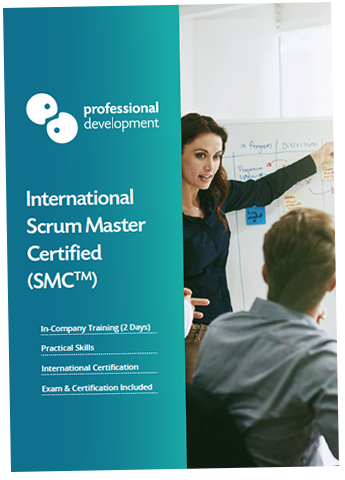 You can learn more, or reserve your place by clicking here to visit our public Scrum Master Certified (SMCTM) course page.